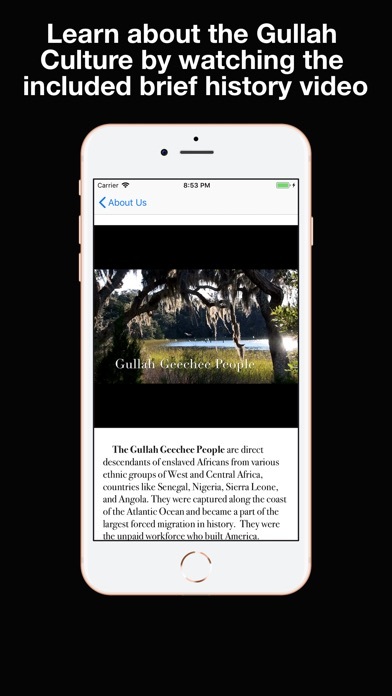 - Authentic Gullah Recipes - Step by step instructions, detailed cooking times and ingredients - Grocery List Tracker - Browse recipes by category - Search recipes by keywords - Save Favorites - Watch the Gullah Culture video Gullah/Geechee people are relatives of a unique group of African-Americans who lived near the coast and on barrier islands that were separated from the mainland by creeks, rivers, marshes and the Atlantic Ocean. 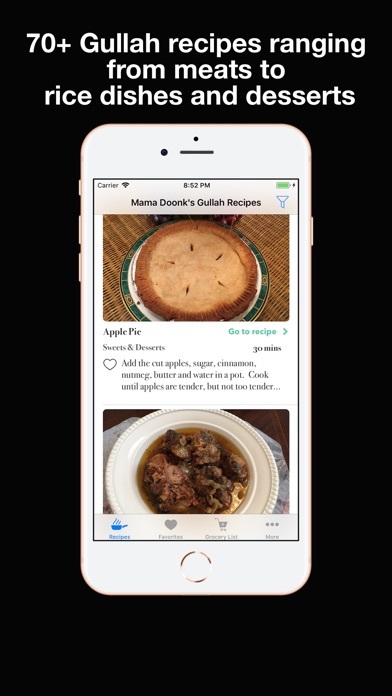 Mama Doonk's Gullah Recipe App features specially selected recipes from Mama Doonk's Gullah Recipes Book (which has over 100 recipes), available at Amazon.com and www.gullahrecipebook.com. 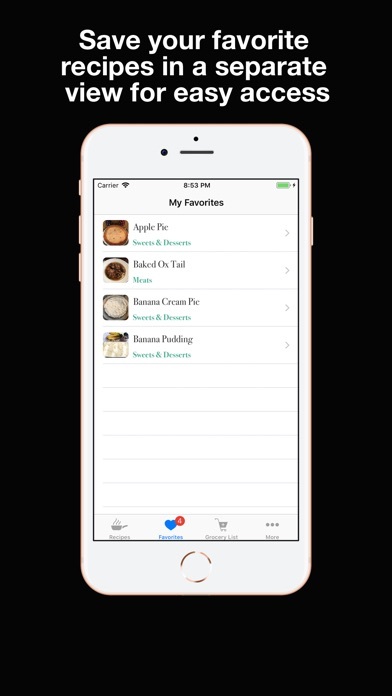 There are many features such as the grocery list and ingredients tracker, the ability to save your favorite recipes, filter recipes by category, quickly search recipes by name and the Gullah Heritage and History video, which are exclusive to the app version. 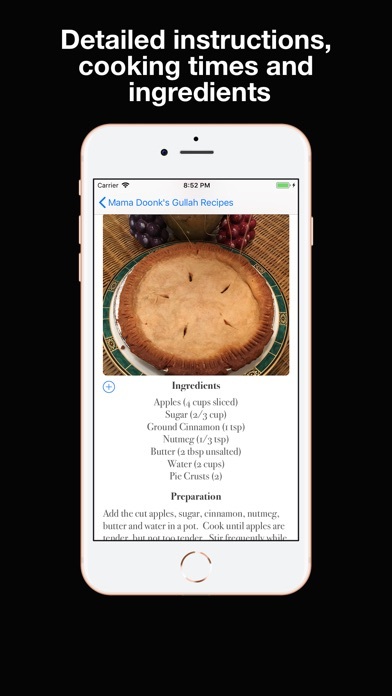 For the best possible experience, enjoy both the app and the recipe book as complements to one another. Now let's "get ta cookin'!" This is so smart. 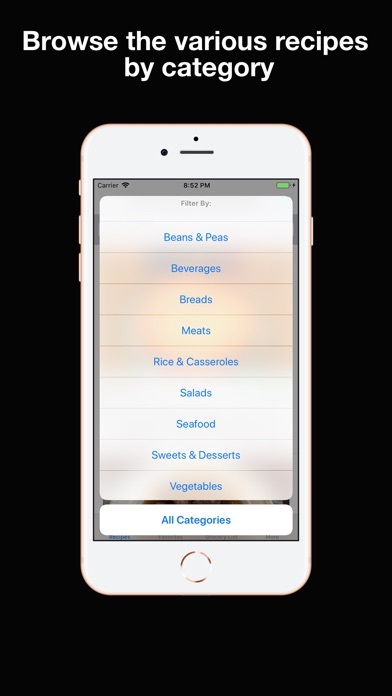 I went to the grocery store the other day, and it was really convenient to have a digital list of the items in my phone that I needed to make the cow peas and oxtail. I just clicked the little plus sign by the recipe, and it popped up on my list! Very useful. I love this thing. The foods of my childhood! I am extremely happy with this app. I rate it 5 stars for its vibrant colors, detailed recipes instructions, and smooth transitions from recipes to grocery list. 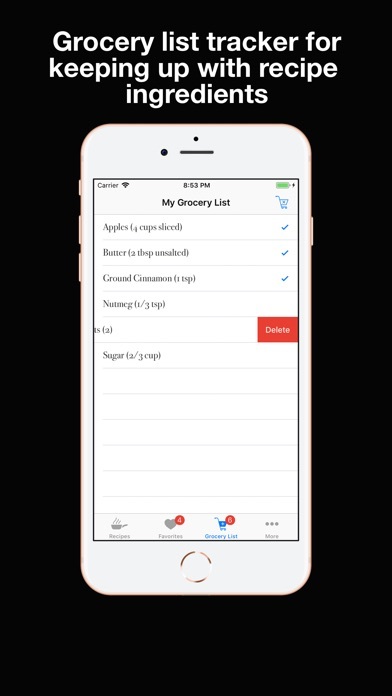 I highly recommend this app to those who are always on the go and would like to prepare delicious meals wherever you are.